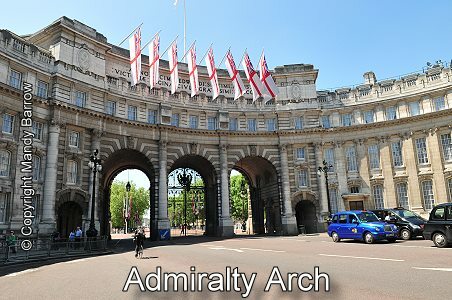 Leading from the southwest corner of Trafalgar Square into the Mall is Admiralty Arch, commissioned by King Edward VII in memory of his mother Queen Victoria. It was designed by Sir Aston Webb (who also worked on Buckingham Palace and the Victoria and Albert Museum) and was completed in 1911. 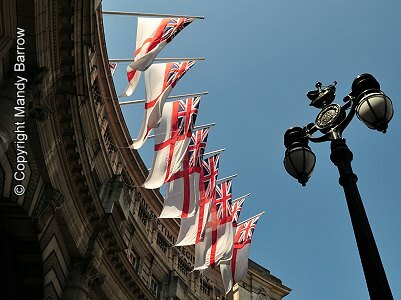 "ANNO DECIMO EDWARDI SEPTIMI REGIS VICTORIÆ REGINÆ CIVES GRATISSIMI MDCCCCX"
"In the tenth year of King Edward VII, to Queen Victoria, from most grateful citizens, 1910"
The Admiralty Arch, which takes its name from the nearby Royal Navy Headquarters. It was originally used as the offices and residences for the Sea Lords, leaders of the Royal Navy. 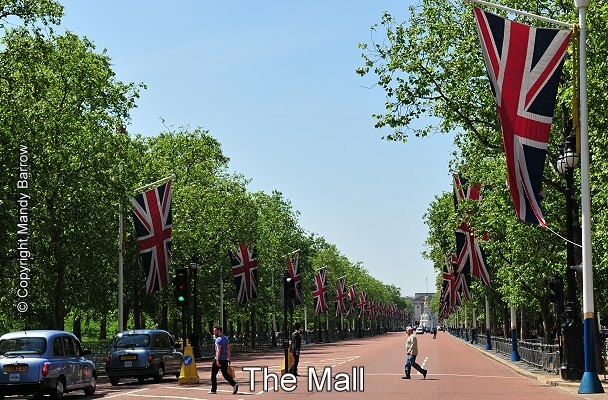 Today it is home to several British government offices. The traffic does not pass through the massive central arch - that is only opened for state occasions. 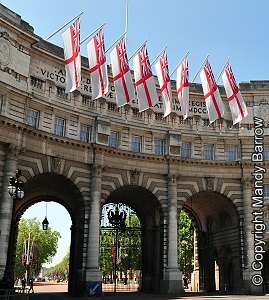 The impressive archways of Admiralty Arch form a ceremonial entrance to The Mall leading up to Buckingham Palace. 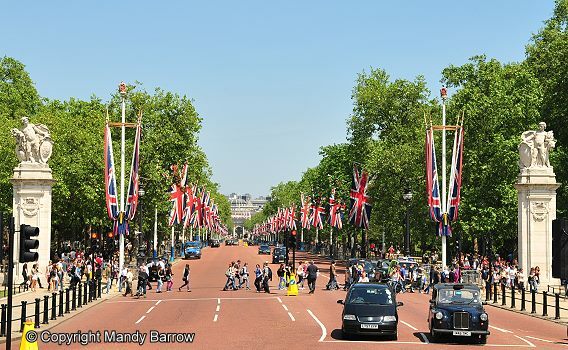 St. James' Park is on one side, and Marlborough Hous and St. James' Palace are on the other.